Fan club rep Kev sent me news of a CD featuring several stars who have appeared in The Rocky Horror Show over the years. 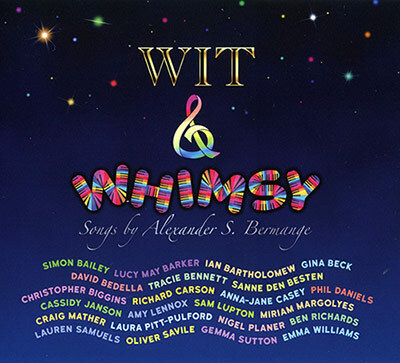 Wit & Whimsy - songs by Alexander S. Bermange is a double CD set with a total of 23 tracks. I wasn't sure what to expect having not heard of Mr. Bermange before, but was pleasantly surprised by the content of the discs. Reading through the notes, hidden in the gatefold cover, it became clear that Alexander has had a love of musical theatre for many years. His songs are indeed witty, bordering on parody at times, but all in all great fun. It's as if you are sharing the musical in jokes with the performers as you listen. Alexander himself accompanies all the songs on the piano and has gathered a wonderful cast of performers to sing his work. 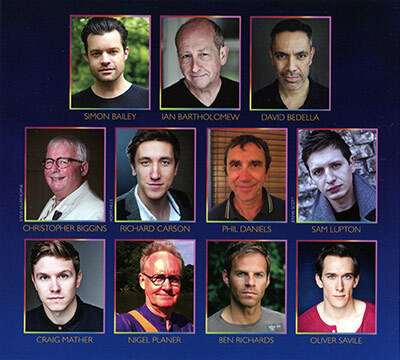 Featuring are our own David Bedella (Frank N Furter UK Tour), Christopher Biggins (Narrator UK Tour and Transylvania in RHPS) and Nigel Planer (Narrator UK Tour) as well as a host of other west end performers. Overall a good addition to the collections and great fun too! 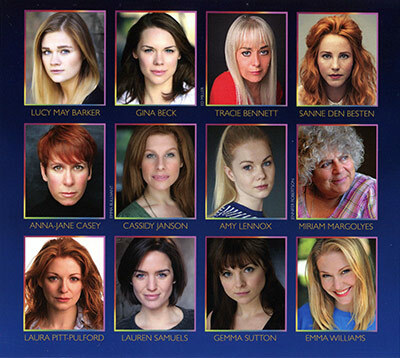 There was also a special performance of many of the songs from the cd on Sunday, 30th April 2017 at The Hippodrome Casino, London. We went along and it was a great night. None of the Rocky related performers were there, but Christopher Biggins did record a welcome message or two for the show. Still great fun though. All information and images used for purpose of review on timewarp.org.uk only.